主要论著 1.Fu Bojie. 2008. Blue Skies for China. Science, 321: 611. 2.Fu Bojie, Lü Yihe, Chen Liding. 2008. Expanding the bridging capability of landscape ecology. Landscape Ecology, 23(4):375-376. 3.Fu Bojie, Zhuang Xuliang, Jiang Guibing, Shi Jianbo, Lu Yihe. 2007, Environmental Problems and challenges in China. Environmental Science & Technology, 42: 7597-7602. 4.Fu Bojie, Hu C.X., Chen L.D., Honnay, O., and Gulinck, H. 2006. Evaluating Change in agricultural landscape pattern between 1980 and 2000 in the loess hilly region of Ansai county, China. Agriculture, Ecosystems and Environment, 114: 387-396. 5.Fu Bojie, Zhang Q.J., Chen L.D., Zhao, W.W., Gulinck, H., Liu, G.B., Yang, Q.K., and Zhu, Y.G. 2006. Temporal change in land use and its relationship to slope degree and soil type in a small catchment on the Loess Plateau of China. Catena, 65: 41-48. 6.Fu Bojie, Zhao W.W., Chen L.D., Lu, Y.H., and Wang, D. 2006. A multiscale soil loss evaluation index. Chinese Science Bulletin, 51: 4448-4456. 7.Fu Bojie, Zhao, W.W., Chen, L.D., Zhang,Q.J., Lu, Y.H., Gulinck, H., Poesen, J., 2005. Assessment of soil erosion at large watershed scale using RUSLE and GIS: a case study in the Loess plateau of China. Land Degradation and Development, 16(1): 73-85. 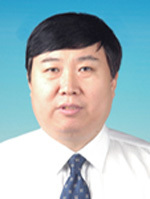 8.Fu Bojie, Zhao, W.W., Chen, L.D.,Liu Z.F, Lu Y.H. 2005. Eco-hydrological effects of landscape pattern change. Landscape and Ecological Engineering, 1(1): 25-32. 9.Fu Bojie, Meng Qinghua, Qiu Yang, Zhao Wenwu, Zhang Qiuju and D.A.Davidson. 2004. Effect of land use on soil erosion and nitrogen loss in the hilly area of the Loess Plateau, China. Land Degradation and Development, 15:87-96. 10.Fu Bojie, Wang Jun, Chen Liding & Qiu Yang. 2003. The effect of Land use on soil moisture variation in the Danangou Catchment,the Loess Plateau of China. Catena ,54(1-2):197-214.